My favourite time of the year is approaching and I am getting really excited…Book Week will be here soon! Book Week is all about celebrating books as well as authors and illustrators. It’s a fantastic week and great to see young learners getting excited about books! As this exciting week approaches, I have begun brainstorming and planning all of the fun activities I am going to do with my students. I have also been looking back on some of my favourite and most popular activities I have done in the past. Read on to find out my favourite book-based activities that promote early literacy skills! I believe that creating a cosy space where children can read is crucial in any classroom or home setting. By creating a space where children can read books, their love of reading is being fostered and they are learning a wide range of literacy skills. 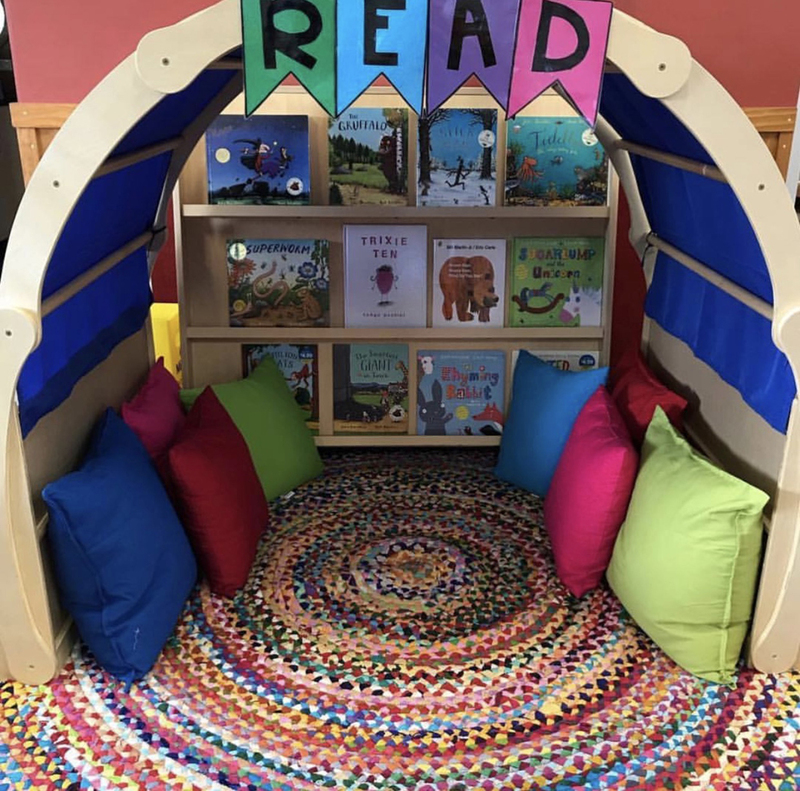 Our reading corner is our most popular space in the classroom and is used everyday! We mix this space up by having a wide variety of books to read, changing them regularly and by including books that are linked to the current curriculum. 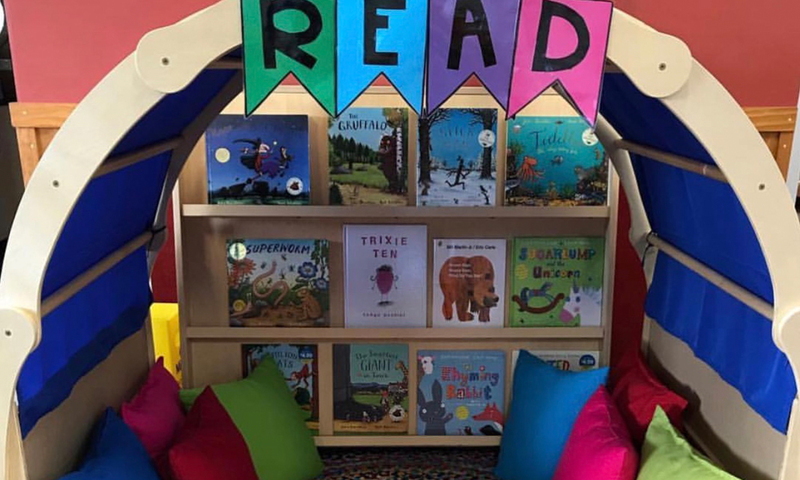 For Book Week, we will be making sure our shelves are filled with all of the books we will be celebrating that week so that children have a chance to explore these texts further. Storytelling trays are my ABSOLUTE favourite activity to set up for my students. One of our favourite storytelling trays this year was based around ‘Jack and the Beanstalk’. We had this tray set up as part of our focus on retelling the beginning, middle and end of stories. 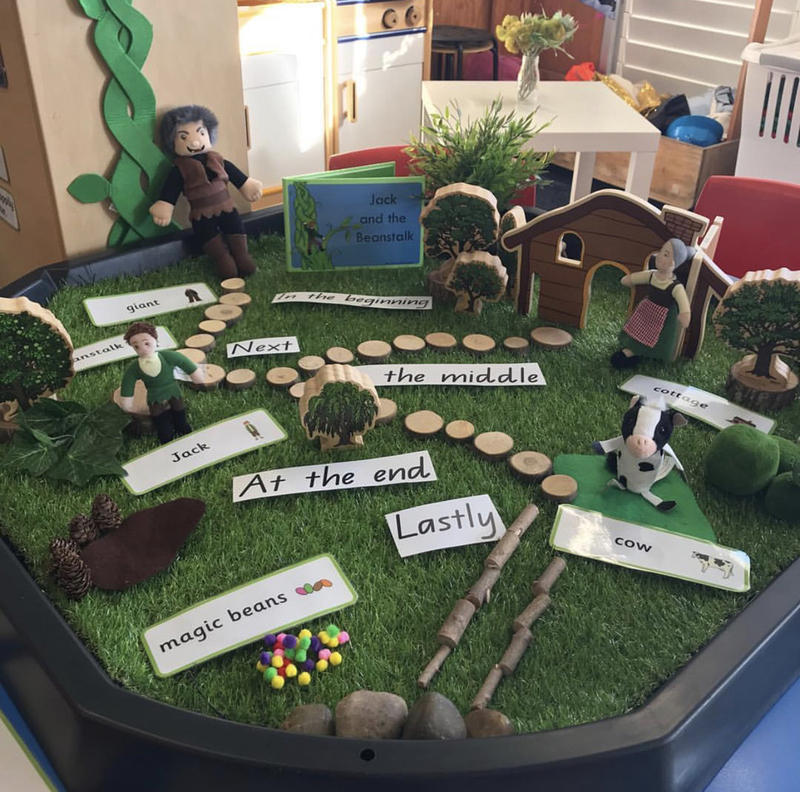 Oral language development, story telling and retelling skills, exploring roles and identities as well as the opportunity to be creative and imaginative are just some of the benefits of storytelling trays. As children engaged with this set up, it was wonderful to see them using their knowledge from the text to inform their play. In my Prep classroom, we have been developing our writing skills throughout the year. One of our favourite ways to write is by using a book as a writing prompt. 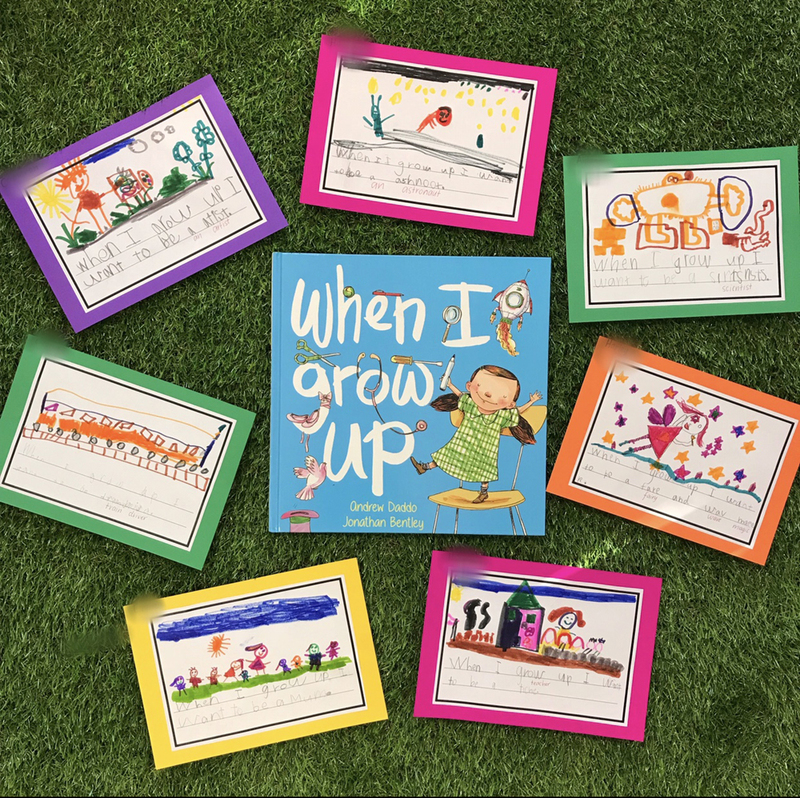 We used ‘When I grow up..’ by Andrew Daddo and Jonathan Bentley as inspiration for some fantastic writing pieces earlier this year. After we read this book together, my students wrote about what they want to be when they grow up. It was a fun activity that allowed us to develop our writing skills. I loved reading their answers too… so cute! 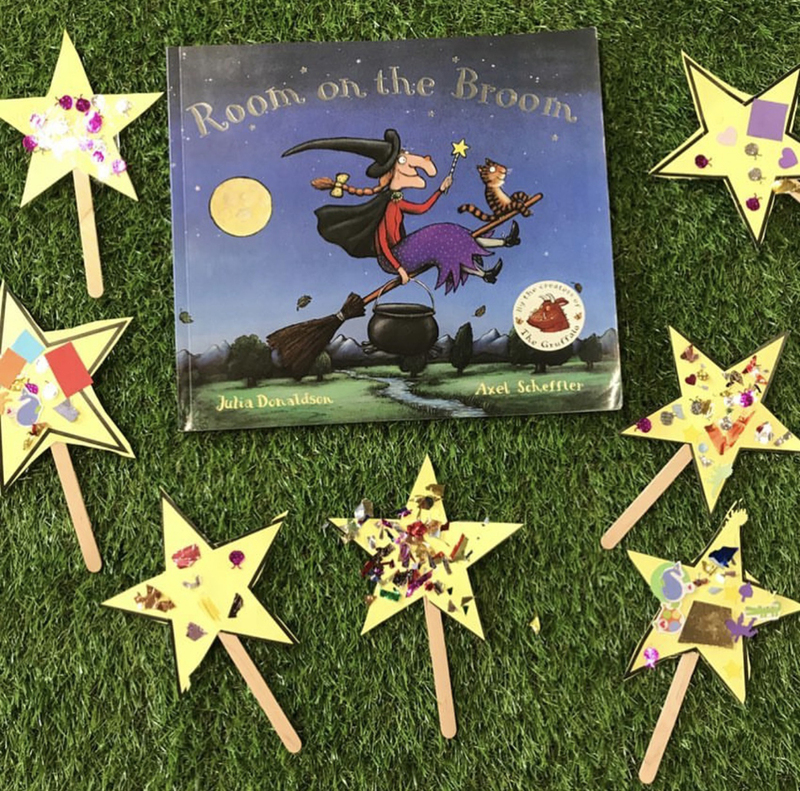 Earlier this year, we focused on the book ‘Room on the Broom’ by Julia Donaldson. As part of our learning, we made wands – just like the witch’s wand in the story! It was a very simple craft that my students loved and all we needed was paddle-pop sticks, glue, star templates and collage materials. After we made our wands, my students loved playing with them in the storytelling tray we had set up. It was the perfect opportunity for them to play with their creations and showcase their knowledge of the story through imaginative play. In my classroom, I love using art as a way for students to explore our favourite books. One of the books we have looked at this year is ‘The Very Hungry Caterpillar’ by Eric Carle. As part of this focus, my students created artworks inspired by this book. 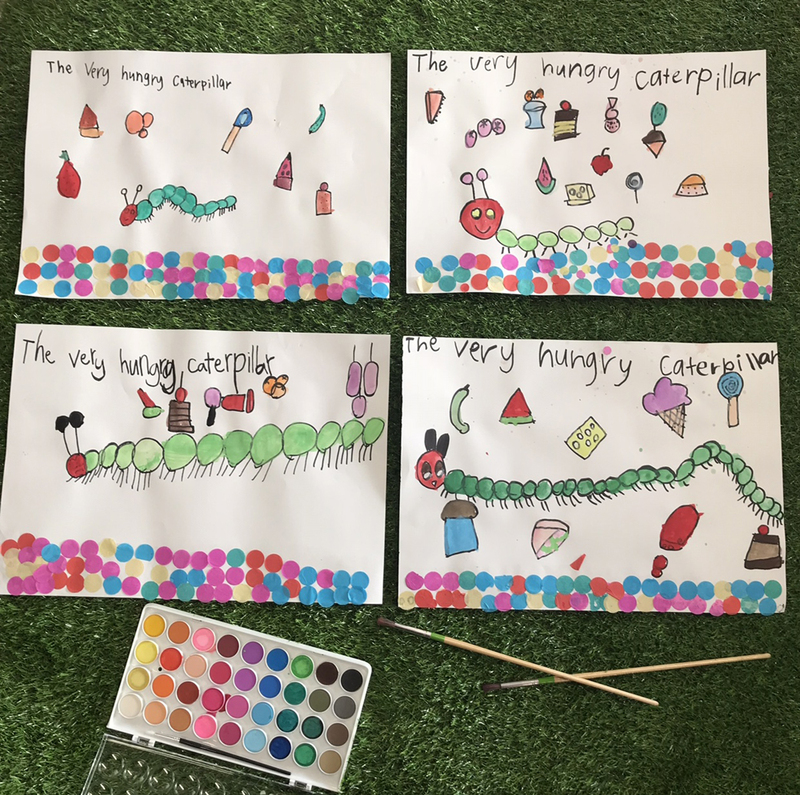 They drew and painted the hungry caterpillar and some of the food he ate to create their artworks. This activity allowed students to develop a further knowledge of the book, express their knowledge and understanding through art and develop their artistic abilities. Construction play with a book-ish twist! Construction blocks are one of my all time favourite resources to use with my students. As part of our focus on ‘The Three Billy Goats’ Gruff’ we had a ‘construction challenge’ where students had to build a bridge for the goats to cross. So much learning was involved in this STEM challenge including early mathematical and engineering skills, teamwork, problem-solving and engaging in ways to be imaginative and creative! 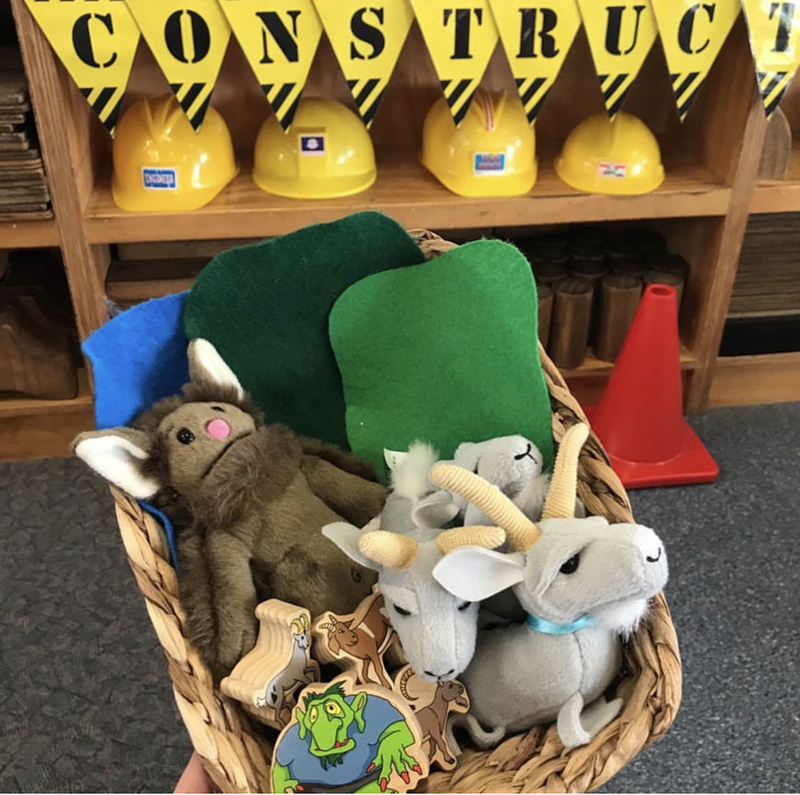 The addition of puppets and other resources meant that children could engage in storytelling and role-play and showcase their understanding of the story as they built and used their constructed bridges. One of my most popular whole group book-based activities is retelling ‘The Very Hungry Caterpillar’ by Eric Carle. In this activity, we made the caterpillar beforehand as a group using coloured cardboard, paint and paper plates. Once the caterpillar was made, we were ready to retell ‘The Very Hungry Caterpillar’. We put our caterpillar in the middle of our circle with the printed food and days of the week surrounding it. 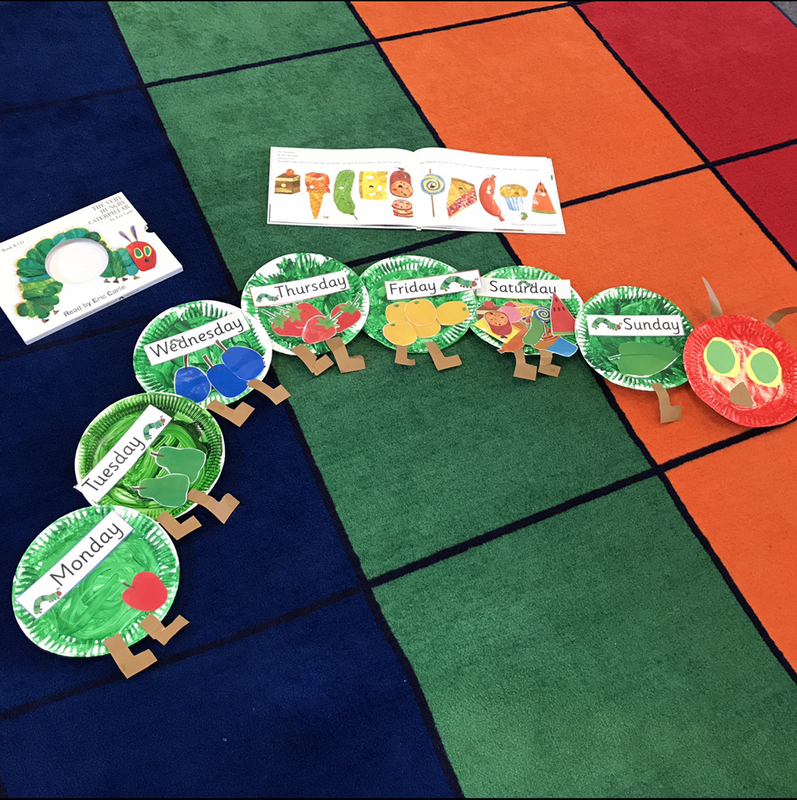 As we retold the story, students had the opportunity to come up and place the correct day of the week and correlating food in each section of the caterpillar. As we engaged in this activity, students developed their understanding of the text, practiced their listening skills and turn taking skills, and, developed numeracy skills through engaging in counting and learning the days of the week. One of our favourite set-ups this year in the classroom has been our fairy tale table. 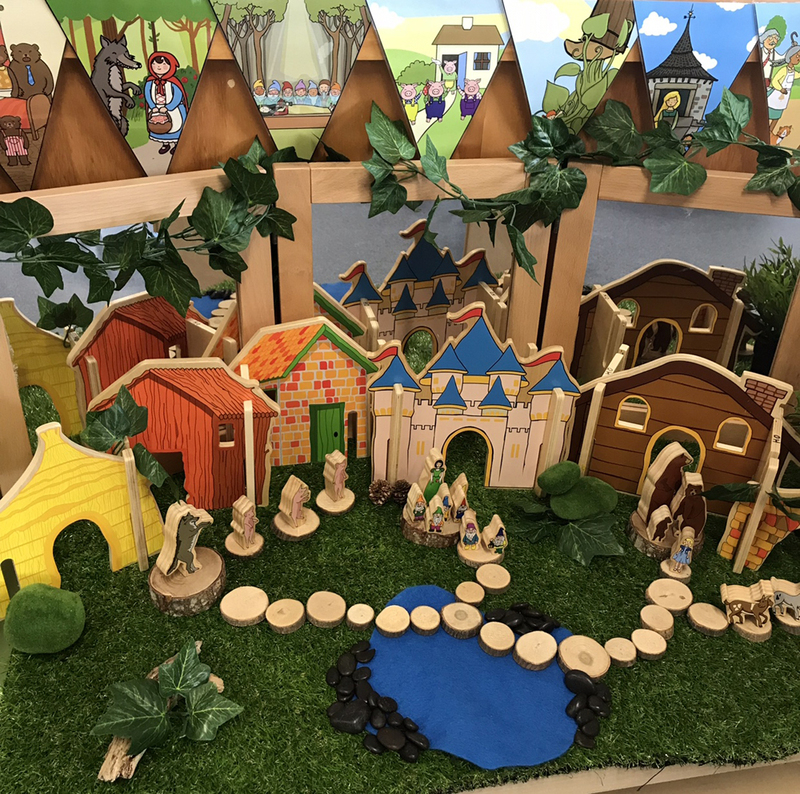 My students have loved playing with our fairy tale table and engaging in imaginative play as they explore a range of stories. Small world play is such a fun way to explore different stories while developing oral language, storytelling and retelling skills! What activities have you got planned for Book Week?